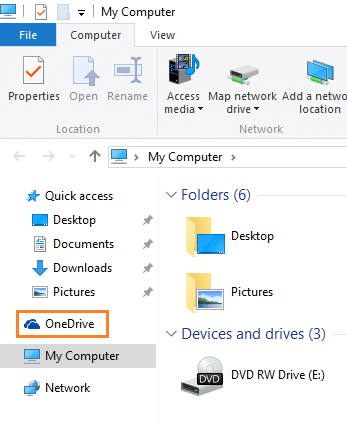 In earlier builds microsoft had given an option to remove onedrive, but in final version of windows 10 there is no option to remove onedrive completely off the system. If you are not using onedrive, there is no use in letting it eat the system memory. With services like google drive and dropbox around there are not many fans of onedrive out there. So, if you really hate onedrive, here is a script to completely uninstall onedrive in windows 10. Step 2 – save it as RemoveOneDrive.bat on your pc anywhere. 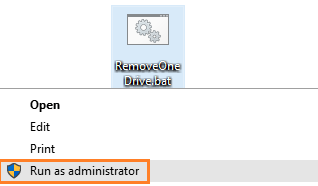 Step 3 -Right click on it and choose Run it as administrator and voila, onedrive is vanished from your system. Press Windows key +R to open run box. Type cmd and hit enter key. Note that by using this method, you can only remove icon from the explorer, it still remains in your system. Step 1 – Press windows key + r to reach registry editor. Step 2 – Browse to the following path in your registry editor in the left menu. Step 3 – Double click on System.IsPinnedToNameSpaceTree and change value data from 1 to 0. Onedrive icon will be removed from file explorer. To get it back, just follow the same path and revert it back to 1. Note: – You have to reboot your computer for change to come into effect.